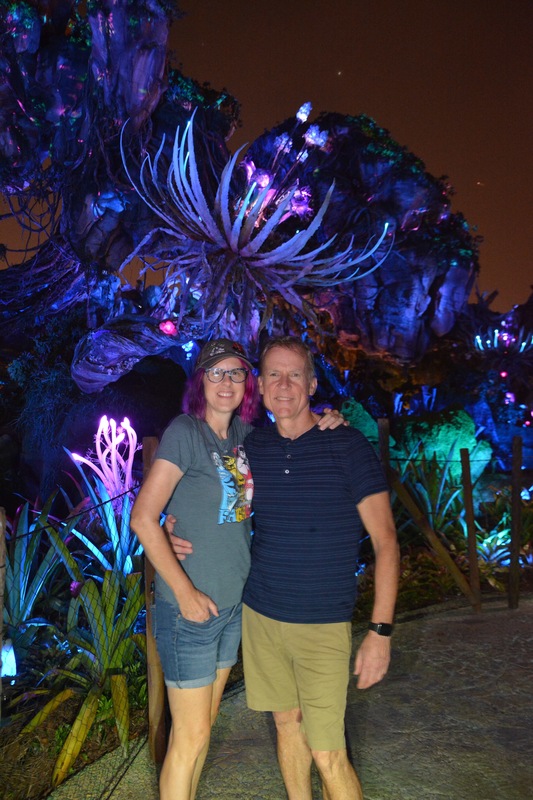 We finally had a chance to run up to Disneyworld to check out the new Pandora land in Animal Kingdom. The word amazing doesn’t do it justice. It’s a huge area, with winding paths, bizarre vegetation, tiny banshees to buy and perch on your shoulder and platforms with performers playing odd looking instruments. Though that could have just been the shadows. I saw Avatar so long ago, that I can’t tell you if Disney has recreated that world accurately. I just know this place was fun. Especially at night. If you have to leave before dark, you’ll miss what Pandora is really about. Intense black light in your face color! 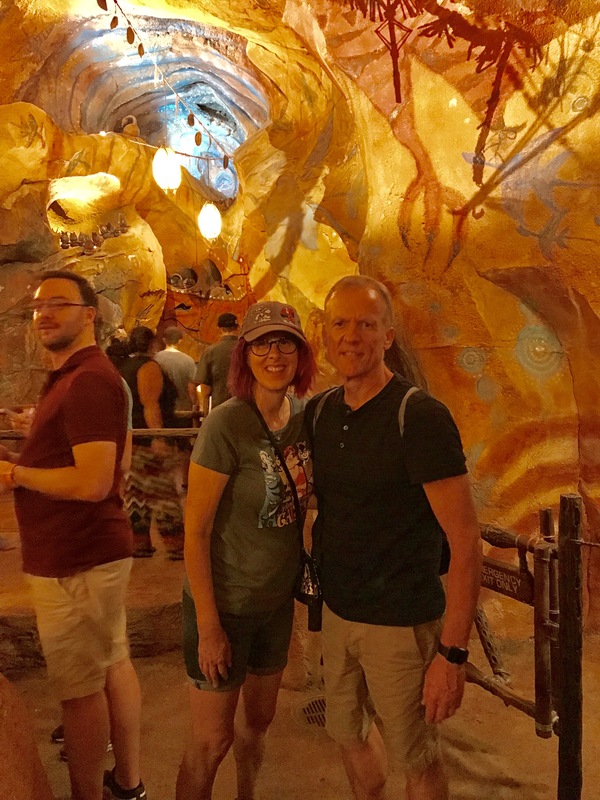 …and my new favorite Disney ride, Flight of Passage. As you wait in line, you wind through the interior of a mountain decorated by the natives of Pandora. Eventually, you make it to a research center. (Was there a research center in the movie? I can’t remember why they were wandering around Pandora) The details are worth the time in line. (We were so busy looking at things in the research facility that I forgot to take photos) I’m not sure how much fast pass skips over but do yourself a favor and go through the line at least once. Once you get to the actual ride, you’re ushered into a long narrow room where you straddle what looks like a motorcycle, pop on goggles and stare at a wall, inches from your face. Once the ride starts, the wall melts into the world of Pandora and all your senses are involved as you ride your banshee over, through and around the lush landscape. I swear I could even smell the other banshees. Wait. It had been like 2089 degrees that day and I was in a little, narrow room with 8 or so people, so there’s probably no smell-o-vision. Still. It’s worth the wait. This entry was posted in Disney World, Uncategorized and tagged animal kingdom, avatar, banshee, disney dining, disneyworld, june nash misadventures, Melissa Banczak author, novel, pandora, paperback, rides, tiffins, writing. Bookmark the permalink.